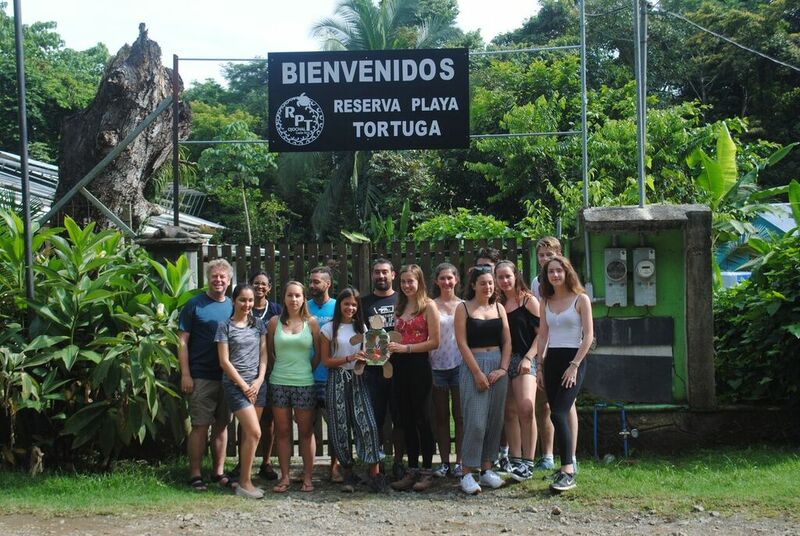 Endangered turtles in Costa Rica are enjoying cleaner beaches and safer waters, thanks to the latest conservation efforts by pupils at Lewes Old Grammar School (LOGS). 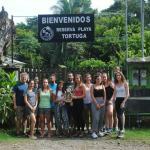 Eight students from Years 10 and 11 travelled to the Playa Tortuga reservation in Central America recently for a once-in-a-lifetime excursion that saw them monitoring turtle movements during the start of the breeding season. Conservation work included making regular night patrols to check for female turtles coming ashore, retrieving eggs to protect them from poachers and predators and constructing a turtle hatchery. 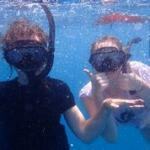 They observed an Olive Ridley turtle at close range, before helping local conservation workers measure and tag her. The three week trip was organised by Lewes-based Working Abroad, which matches volunteers with environmental and social projects across the world. Playa Tortuga is a non-profit biological research and education centre founded by two citizen scientists to promote research, data gathering, species monitoring, and community education and outreach programmes. Among the students’ other tasks was to place cameras in the rainforest to track mammals, including racoon, agouti and ocelot, make ‘monkey walks’ to observe capuchin and howler monkeys, and assist rangers in finding and measuring tree boa and caimen. 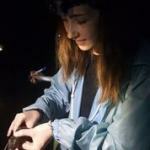 They also became involved in an ambitious project to record every species of bird on the reserve. But it was a clean-up operation at Ojochal beach at Playa Ventanas and another near their reservation that really opened their eyes to what the world’s most powerful species is doing to the planet. Excursions included a boat trip off Uvita, where the visitors saw three humpback whales with calves alongside a pod of bottlenose dolphins, and a boat trip through some of the 70,000 hectares of mangroves which account for 2.5% of the world’s biodiversity. Here they were greeted by three different species of monkey and a two-toed sloth with her baby as well as a large number of species of birds and reptiles. After weeks of hiking, snorkling and exploring, the students gave a presentation to the staff of the Playa Tortuga reserve on the discoveries they had made. 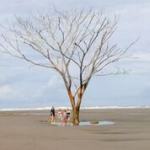 The trip was the second that LOGS had made to Costa Rica in an effort to inspire young people to help the environment and demonstrate man’s impact on it. “The amount of plastic pollution on the beaches was an eye-opener and really brought home why the school is committed to reducing plastic consumption over the next few years,” said Tim Laker.